Order a Greek pita, and you are ordering one of the staple foods loved by Greeks. 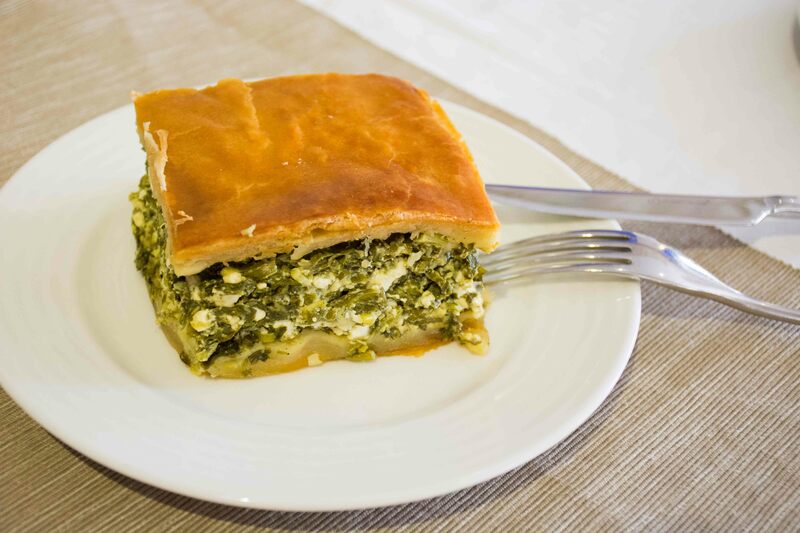 The Greek pita is a savory pie, baked with delicious ingredients layered inside from vegetables, cheeses to a variety of meat and flavored with Greek herbs and spices. When you hear Greeks say they will offer you a pie, they don’t mean a sweet dessert pie, like apple or cherry filled, as popular in the U.S., for example. Also, when you hear Greeks say pita, don’t confuse pita with pita bread, which is the triangular breads served with grilled meats. A pita is a savory pie, which in the Greek language is called a pita. The Greek pita consists of layers of baked dough, crispy and delicious or more solid layers, the filling is a layering of various ingredients, then topped again with a layer of baked filo dough. The pita is then cut into portions. Pitas can be found in all sort of shapes, salty or sweet, traditional or not, with thin pastry filo-sheets or crumbly, richer and thicker ones. The pita expresses the Greek culinary spirit by the use of simple flavorful ingredients. They are excellent as a side dish for nicely prepared dinner or even as a simple snack. In fact, this delectable modern Greek cuisine favorite dates back to ancient times. They were first made as sort of primitive cakes, with a thick flour batter. Ancient communities in Greece would bake them because they were sturdy, nutritious and filling, able to travel to long distances without breaking apart. In ancient Greece, the pita was part of the daily diet. 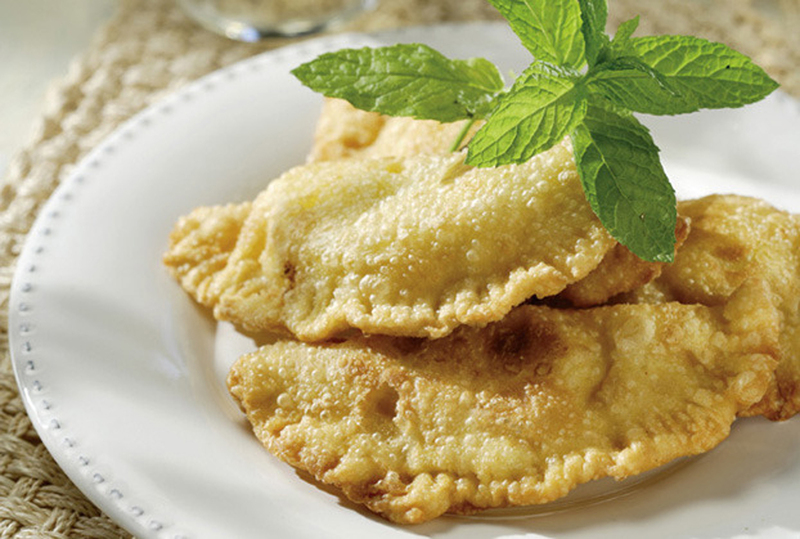 Typical versions were made with honey, cheese and oil. There was also a version with honey and garlic. The dough was kneaded with flour from barley, rye, oats, millet and various legumes. An Athenian dessert could include a richly flavored pita made with fresh or dried fruit, salted almonds or cheese. In different parts of Greece, the shape of the pita could range from circular to rectangular, all depending on the cooking “tools” used in the area from large bronze shallow baking pans to large rectangular versions. In the end, the pita was cut into small pieces either square, rectangular or triangular. The diversity of the type of pita you can order is just as diverse as Greek cuisine itself! Many areas of Greece specialize in making their own types of savory pita. Sometimes you’ll find the pita has flaky filo layers and other times they are thick and more solid as layers. Sometimes ingredients are more on the heavy savory side while others have a touch of sweetness. 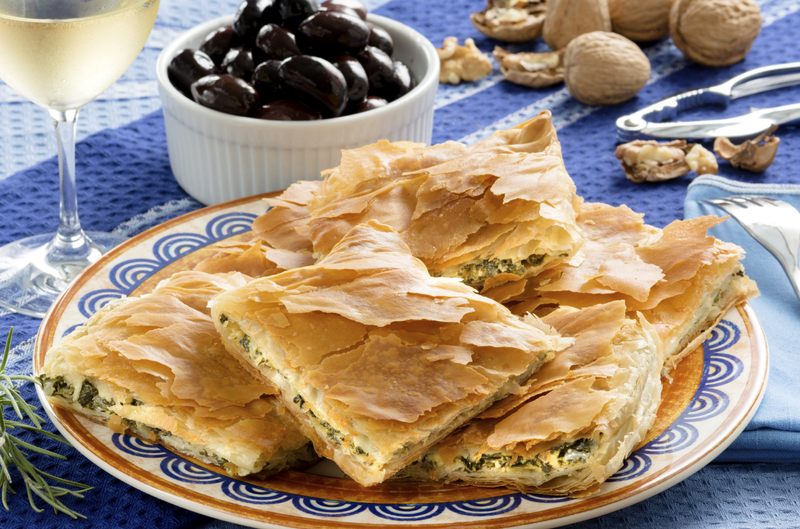 Popular pitas include spanakopita (spinach pie) and tiropita (cheese pie). Kefalonia: Kreatopita is a meat pita usually layered with beef or lamb and spices. 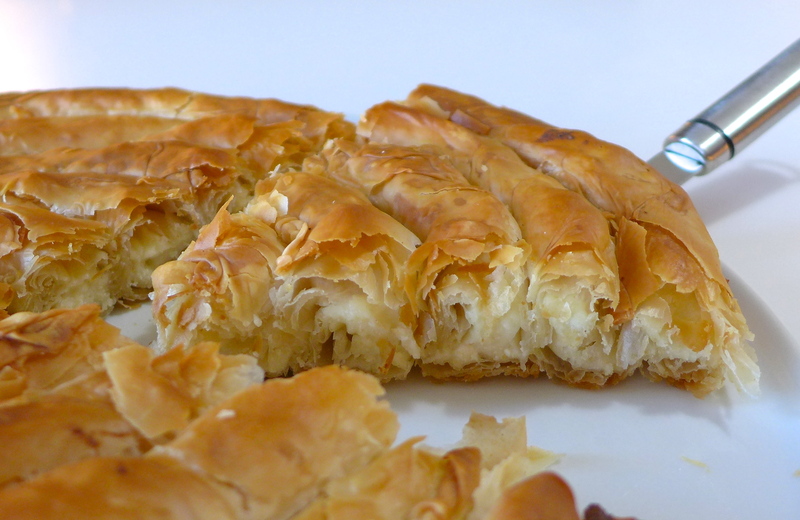 Kosifopita is a seafood pie, layered with salted codfish. Kozani: Kichi is a beautiful spiral shaped cheese filled pita. Lefkada island: Rizopita is a rice pie from made with rice, milk and eggs. Zagohoria: Prassopita is a wild greens and leek pita. Crete island: Chortokalitsounia is made with wild greens and fennel. Cretan myzithrokalitsounia is made with myzithra cheese. Macedonia: Kolokothopita is made with pumpkins. The Gastronomy Tale has taken you to through the delightful and delicious history of the savory Greek pita. Have you ever had a traditional savory Greek pita? Which one would you love to try?